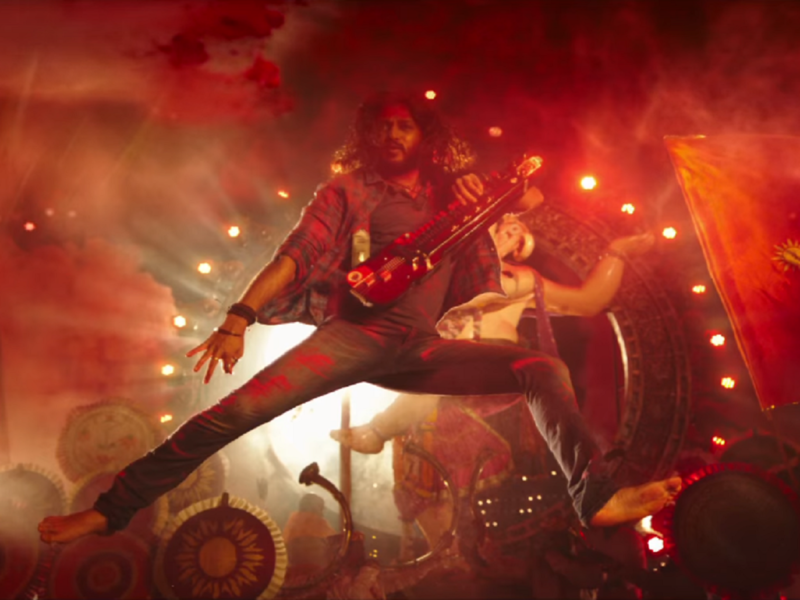 Riteish Deshmukh And Nargis Fakhri Shine In “Banjo” Trailer! It has been a while since Riteish Deshmukh gave a performance he could boast of. It seems however, that the adorable poster boy of Maharashtra is ready to give a spirited performance with Banjo, if we go by the freshly released official trailer at least! Deshmukh plays Taraat, a banjo player who lives in the slums of Mumbai. A rockstar in his own right, he nevertheless craves the respect that musicians anywhere else are bestowed with. Taraat crosses paths with Christina (Nargis Fakhri) who is looking for gifted artistes to perform in an esteemed festival. Directed by Ravi Jadhav, who wielded the megaphone for acclaimed Marathi films such as Natarang, Balak Palak and Timepass, the film also stars Dharmesh Yelande and Aditya Kumar in supporting roles. Vishal-Shekhar provide energetic music to this flick which promises to show the celebratory mood of Ganeshotsav in Mumbai in all its pomp and gaiety. Will Taraat find musical glory or will his humble origins get the better of him? You’ll have to wait until September 23 to find out!